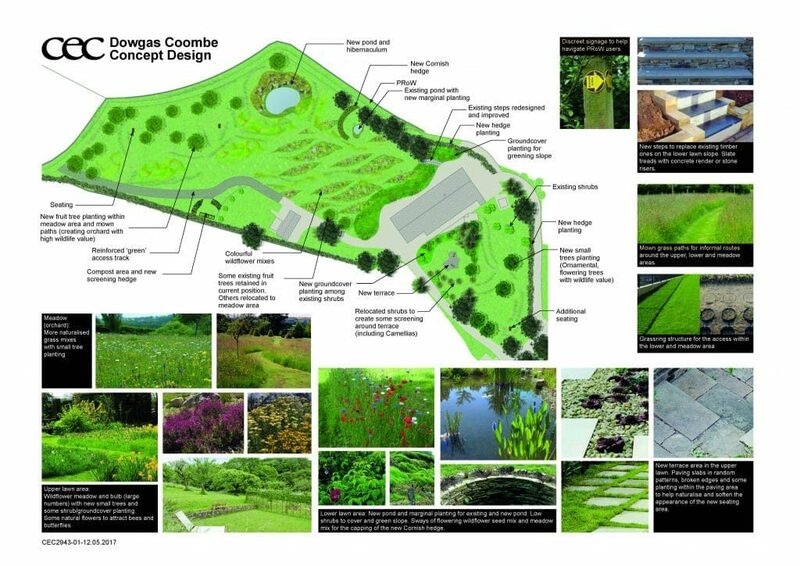 Dowgas Coombe Garden Design Concept – Creating a biodiversity haven in a Cornish landscape. CEC’s ecology team was approached by a retired couple to survey their land to find out about the biodiversity assets they had. 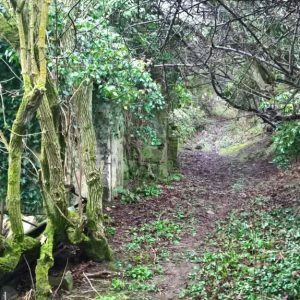 When they learned that we also provide landscape architecture services, they asked us whether we could help them develop a concept for their land to transform it into a biodiversity haven in time. 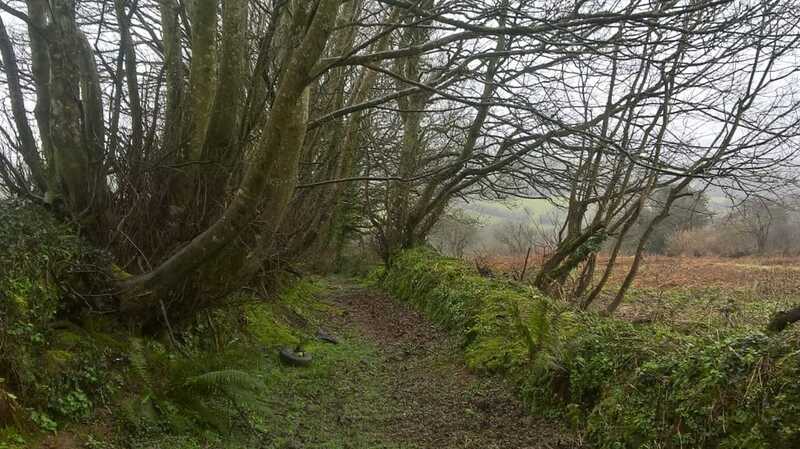 The site is located on sloping ground in the Cornish rural landscape near St Austell, with wide views to the northern backdrop of undulating ridges. The bungalow on site benefits greatly from these views, overlooking the sloping garden below, towards a wooded land parcel, including mature Cornish hedges. 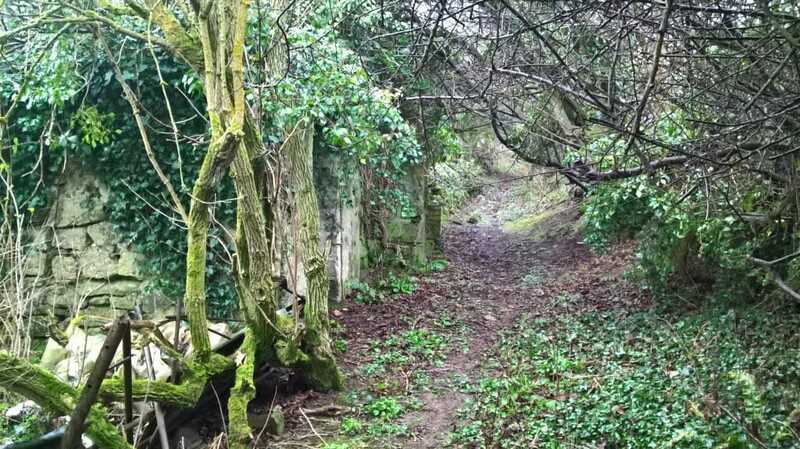 A public footpath runs along the garden boundaries to the west and north. The landholding is quite large to manage for our clients, and large areas were previous agricultural land. 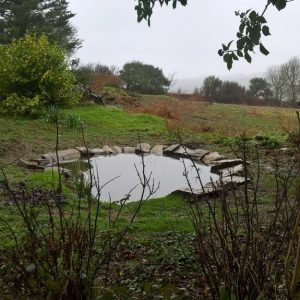 The challenge was to develop a transition between more formal and informal garden areas and to the landscape beyond, provide advice on suitable and low maintenance landscaping for the large informal areas and overall achieve substantial biodiversity gains with a range of measures such as meadows, a new pond, hibernacula, bog area, orchard and new planting with biodiversity benefits. 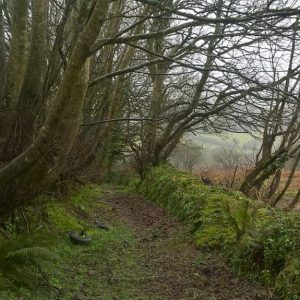 The separation and screening of the footpath was also a key consideration to preserve the privacy of our clients, and ensure footpath users are guided along the correct route of the path through appropriate landscape measures. Our ecologists undertook an initial survey, and then passed the information on to our landscape architects. Principal Landscape Architect, Birgit Hontzsch, went to meet the clients on site and listened in detail to their requirements and aspirations. The initial site survey and client meeting set the scene for the concept design brief, which was developed through a number of three iterations from initial two sketch options, to a preferred sketch option and final concept plan. Throughout, our clients had input and commented, with options being adjusted to suit their needs. Once the final concept was agreed, we then continued to prepare an outline works schedule with approximate quantities – this enabled our clients to think about phasing the implementation and use the schedule as an aid to speak to suitable landscape contractors and obtain price estimates. We also put them in touch with suitable contractors. 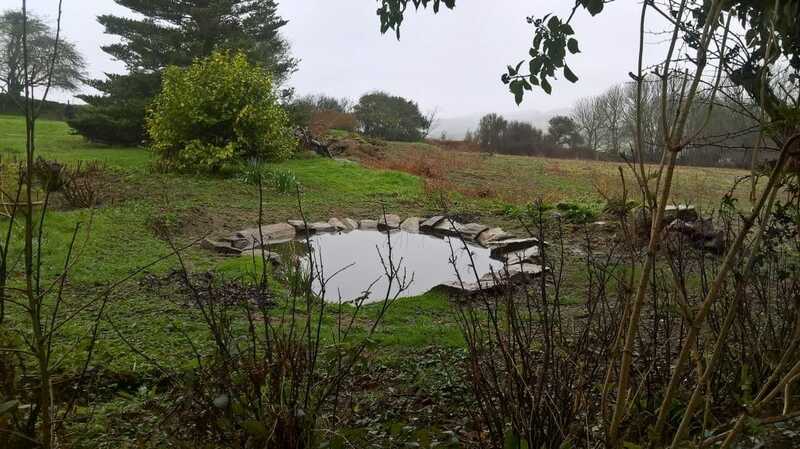 The scheme is now set to be implemented over the next year or so working with Ed Veerman Landscape Contractors, and we hope to be able to add photos in future of the successful conversion of the current garden into a heaven for biodiversity! We are grateful for the help that CEC have given us over the last few years; initially bat and barn owl surveys which inspired us to incorporate bat houses into our roof space and bat access into our roof tiles – later an ecological survey clarified many issues, including badger trails and rare bird species, and more recently a landscape design concept for the conversion of our garden and land into an even greater wildlife haven than it is at the present. We are looking forward to working with CEC’s suggested landscapers in the near future. We are also looking forward to, as a result of CEC’s design, inviting even more wildlife into our property and providing an even greater biodiversity.